“He’s the best guy in the world,” claims Zlatan Ibrahimović. “He’s a great person, with a big heart,” Unai Emery says. “He’s just a classy man,” Zoumana Camara puts it. Ask anyone in the world of football to describe Maxwell – full name Maxwell Scherrer Cabelino Andrade – and they’ll usually talk of how kind a human being he is, way before they mention his talents as a sportsman. The recently-retired Brazilian left-back is the most decorated club footballer of all time, yet he is still best known for his character. That is quite the compliment, but it also says something about his career. Maxwell’s legacy is a curious one. That he has won 37 titles in his 35 years on this planet is fascinating. That he barely registers as one of football’s all-time greats is even more so. Pay a visit to Maxwell’s Wikipedia page and the website even has to state that he is a footballer in brackets. Not only is Maxwell not the most famous footballer, he isn’t even the most famous Maxwell. Looking at the clubs where he racked up his medal haul, it’s clear that he played for some of the biggest in the world before hanging up his boots at the end of the 2016/17 season and, more importantly, he always seemed to find his way to the best team in each league he played in. For many, Maxwell is little more than a glory hunter in footballer form, from joining Holland’s biggest club Ajax at the beginning of the century to moving to Inter just as they kicked off their five-in-a-row era to jumping ship to Pep Guardiola’s all-conquering Barcelona to taking part in Paris Saint-Germain’s Qatar-funded project. That viewpoint, however, discredits what Maxwell brought to the table for each of those teams, both on the pitch and off it. It’s assumed that Maxwell won so much because he played for Ajax, Inter, Barcelona and PSG. 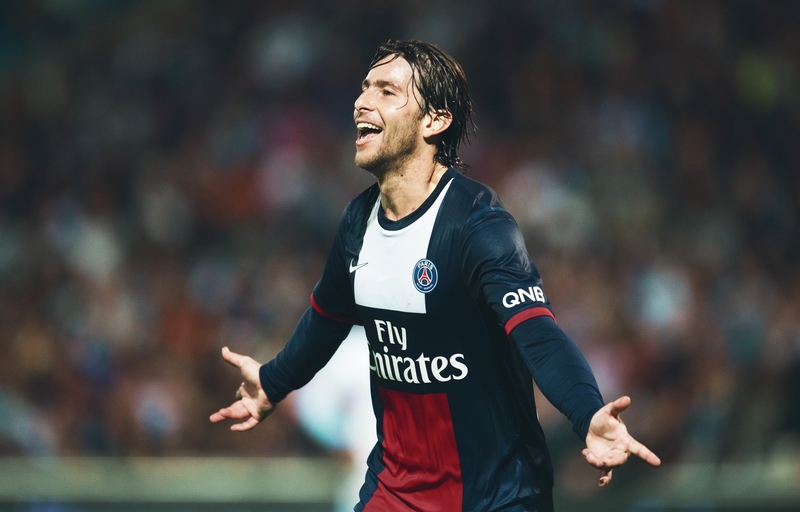 But maybe, just maybe, Ajax, Inter, Barcelona and PSG won so much because of Maxwell. Before he began his trophy hoovering of Europe, Maxwell plied his trade for Cruzeiro in his native Brazil. He was born in Cachoeiro de Itapemirim, in Espírito Santo, a state which cannot boast the same footballing traditions as other parts of the country, but he then moved to Cruzeiro’s academy in Belo Horizonte as a teenager. At the age of 18, he enjoyed his first taste of glory as Cruzeiro won the 2000 Copa do Brasil, although it should be noted that a young Maxwell didn’t play a minute of the tournament. Instead, he watched on as the team which had claimed the Copa Libertadores just two years previously marched towards the title, seeing off São Paulo in the two-legged final. While he may not have got on the pitch much for the Cruzeiro senior side, his performances at youth level were impressive enough to catch the eye of Ajax, who scouted him at a tournament just as he was turning 20, bringing him to Amsterdam for the equivalent of €3 million. It was in the Eredivisie that Maxwell first held down a regular position in a starting lineup, something he had been unable to do in Belo Horizonte given the experience ahead of him in the pecking order. 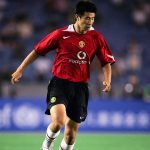 After making his debut in August 2001, in a 1-1 league draw against Roda, he took his first Champions League steps three days later, being thrust into the spotlight as his side aimed to overturn a 3-1 first-leg deficit in a qualifier against Celtic. Although the Dutch team won 1-0, it wasn’t enough and they had to settle for UEFA Cup football that season. Maxwell, though, had performed well on his first European night, which was all the more impressive given how daunting Celtic Park can be when that Champions League music plays. Throughout the rest of that season, he was able to win the job as a starter over the older and more experienced Tim de Cler and he ended up playing 31 times, earning the eighth-most minutes as Ajax won the league for the first time in four years as part of the domestic double. He even clocked up more minutes than other stars such as Mido, Johnny Heitinga, Steven Pienaar and Zlatan Ibrahimović. The latter, already a player of limitless promise, became one of Maxwell’s best friends in football, and in life in general. While one member of this odd couple was a striker from Scandinavia and the other a defender from South America, they were the same age, with Maxwell just five weeks older than the forward. Maxwell, though, could have passed as Ibrahimović’s father, as he was light years ahead of his friend when it came to maturity and to understanding how to fend for oneself. That story demonstrates just how wise and how independent Maxwell was at the tender age of 20, even in a foreign land and with his own footballing development to focus on. Over the years he would become famous for the way he avuncularly looked out for his fellow teammates behind the scenes, as if he were a player liaison officer. This early interaction with Ibrahimović in 2001 offers an early glimpse at this low-key, but crucial, ability. The fact that Maxwell’s wife helped Julian Draxler to find an apartment in Paris 16 years later shows that the left-back never lost that capacity to sense when a teammate needed a helping hand. Back during those early days in Holland, Maxwell was far more than Ibrahimović’s keeper. In fact, he initially enjoyed more on-field success at the Amsterdam ArenA than his Swedish friend. In 2002/03, Ajax won the Johan Cruyff Shield – the Dutch Super Cup – but they conceded their league and cup crowns. On an individual level, though, this was Maxwell’s true breakout year, as his game time increased further, so much so that he made the joint-most appearances of the entire squad. If he had been a passenger during that 2000 Cruzeiro cup triumph, he was certainly no longer just along for the ride; at Ajax, he was one of the cornerstones of the team. In 2003/04, the league title was wrested back into red and white hands and Maxwell was voted the Dutch Footballer of the Year, just the fifth foreign player to ever claim the honour. Often playing from a more advanced position on the left wing, rather than at left-back, he showed he was a skilful and urgent dribbler, scoring two goals and providing six assists that Eredivisie season. His impact from his flank was major, as he helped his friend Zlatan to score 13 times that year, enough for the Swede to attract attention from other top clubs and to earn a move to Juventus. There was also significant interest in Maxwell’s talents, but he stayed put in the Netherlands for another two seasons, winning another domestic cup and claiming the Johan Cruyff Shield again, two trophies that give the Brazilian an edge over Ibrahimović in the medals count. The pair were, though, eventually reunited in Milan, with the Swede moving from Juventus to Inter in the summer of 2006. Maxwell had suffered a serious face-scrunching knee injury in April 2005 and he never played for Ajax again after one fateful run towards the byline against Willem II, leaving as a free agent the following January. In order to navigate the non-EU players quota, he was technically signed by Empoli until the end of the 2005/06 season, but he never did play for the Azzurri before being transferred to Inter that summer. Despite having just recovered from snapping the cruciate ligament of his right knee, Maxwell was able to make the left-back job his own by midway through that first season in Italy, one which finished with Serie A glory and a personal moment to savour. It was April Fools’ Day of 2007, but it was not a prank when Maxwell scored one of the greatest Inter goals of all time. Twenty-six months after his last goal, and almost exactly two years after suffering his long-term injury, Maxwell was back on a scoresheet and he did it in style as he netted against Parma, a strike which sent the Nerazzurri on their way to a 2-0 victory, one which meant they needed just one more win to seal the league title. Racing across the field to pinch possession ahead of his opposite number, the Brazilian back-heeled the ball back towards the middle of the pitch, sprinting around the bamboozled defender to re-collect the pass he had just deposited for himself. Next he sprayed the ball out wide for Hernán Crespo, but quickly received it back, before tapping his way past three defenders and into the penalty area. At that point, the Giuseppe Meazza held its collective breath; like a Roger Federer swing towards the ball, everybody knew his left boot had the ability to deftly chip the ball just over the line or to blast it into the far top corner, but it wasn’t until contact was made that it became apparent he’d opted for the latter. 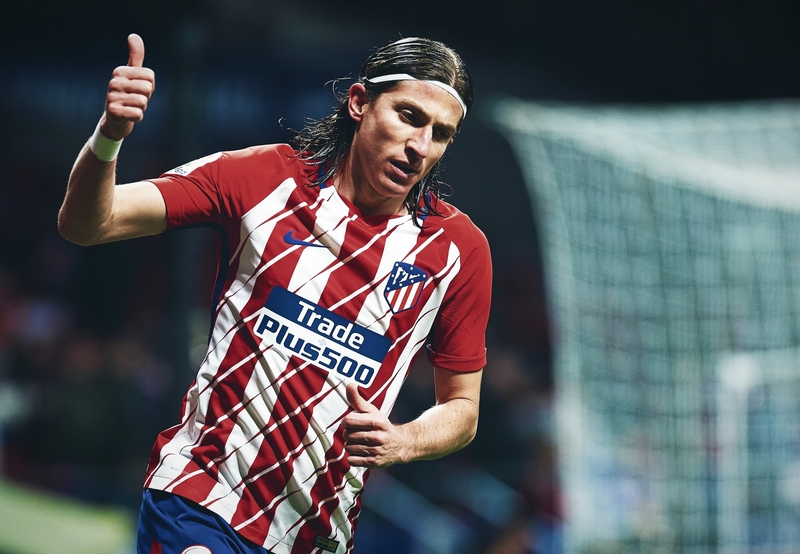 Even had his side been 4-0 up in a friendly match it would have been a special goal, but its importance and the fact it completed his injury comeback made it all the more remarkable. A few weeks later, Inter followed that up with the win they needed to lift their 15th Scudetto, a new trophy for Maxwell to hoist into the air, but one he’d become familiar with over the coming seasons. The Milanese team retained their title the following season and the one after that, bagging a Supercoppa Italiana to boot, in which the left-back netted a penalty in the shootout win over Roma. By the summer of 2009, Maxwell’s trophy total was up to 12, but he was only just getting started. Pep Guardiola’s Barcelona team had just won their historic treble, but there were plenty of trophy crumbs to be hoovered up and Maxwell – along with his close buddy Ibrahimović – duly made the switch to the Camp Nou. Having penned a five-year contract after Barcelona paid €4.5 million for his services, Maxwell was presented as a Barcelona player on 17 July 2009, one of the proudest days a footballer can imagine experiencing. Signed as a break-glass-in-case-of-emergency alternative to Éric Abidal, and for his versatility and ability to play further forward on the left flank, Maxwell’s arrival was quietly viewed as an important one. “Guardiola has asked me to maintain the balance between defence and attack and that is what I try to do,” he explained shortly after his arrival. Just over a month later, he’d already claimed a medal, one which would form part of the incredible sextuple year of 2009. Even if he only played a part in the UEFA Super Cup, Spanish Super Cup and Club World Cup successes, having still been at Inter during the 2008/09 treble, Maxwell was still adding to his honours tally. Just over a month later, he’d already claimed a medal, one which would form part of the incredible sextuple year of 2009. Even if he only played a part in the UEFA Super Cup, Spanish Super Cup and Club World Cup successes, having still been at Inter during the 2008/09 treble, Maxwell was still adding to his honours tally. All in all, he added 10 trophies during his time in Catalonia, witnessing two La Liga titles, three Spanish Super Cups, two UEFA Super Cup wins, two Club World Cup triumphs and a Champions League victory. “Witnessing” is a good word to use here because Maxwell’s stint at the Camp Nou was the most trophy-hoovering one of his whole career, but also the least participatory. In total he wore the Barcelona colours 89 times over those two and a half seasons, working out at a trophy every nine appearances. Obviously, therefore, a lot of the work was being done for him; he was essentially a passenger and didn’t play a single minute of the Champions League final at Wembley or of the 2009 and 2011 UEFA Super Cup and Club World Cup finals. The only finals he did feature in were the Spanish Super Cups, playing one of the two legs of the 2009 edition, every minute of the 2010 one and not at all in the 2011 success. Maxwell, though, will be the first to admit that he was earning medals too effortlessly in Catalonia. “The easy thing to do would be to stay at Barcelona,” he said, suggesting that he could have kept playing behind “best left-back in the world” in Abidal to share even more glory. Instead, he decided he wanted a challenge and that was why he set off over the border to France, where he was signed by Paris Saint-Germain for €3.5 million. He may not quite have failed at Barcelona, given that he was never expected to dethrone Abidal, but his 30 months spent mostly on the Camp Nou bench had diminished his reputation somewhat and he arrived at the Parc des Princes in January 2012 to muted fanfare. Five and a half years later, however, he would be sent off into the sunset of retirement like a hero. Given his propensity for hard work, his likeable nature and his willingness to throw himself into the local culture by learning French, he quickly became a fan favourite – and a coach’s favourite too. Having arrived at exactly the halfway point of the 2011/12 season, he was immediately inserted into the line-up at his natural left-back position by Carlo Ancelotti – who arrived in the dugout at the same time – and the Brazilian played in 14 of the remaining 19 Ligue 1 matches. That, though, wasn’t enough to catch shock champions Montpellier, making 2011/12 the first year since his 2005 injury in which Maxwell was not a league champion. That would not be the case again over the following four years, as PSG’s project went from strength to strength. While further quality arrived in the form of Thiago Silva, Ezequiel Lavezzi, David Beckham, Edinson Cavani, Marquinhos, David Luiz and, of course, his inseparable footballing twin, Ibrahimović, Maxwell was able to hold down his left-back spot and he became one of the most important members of the squad, on and off the pitch. On it, he played more than half of his team’s league games in every season he remained in Paris, fending off the challenges of talented alternatives such as Lucas Digne and Layvin Kurzawa. Unlike at Barcelona, he was a regular selection for the team’s biggest games, playing in all but three of their 11 domestic cup wins – he won the Coupe de France three times, the Coupe de la Ligue four times and the Trophée des Champion four times. Off the pitch, he was one of the authoritative figures in the dressing room and one who could ease the coaching transitions the team experienced. “I try to give as much information as I can,” he later recalled. “I try to give confidence to some players that don’t have as much experience yet.” He may never have been the permanent captain, but he always acted like one, and when Thiago Silva was out of the side, he was often considered for the armband. So impressive was his post-Barcelona revival that Maxwell was even handed his Brazil debut at the age of 31. 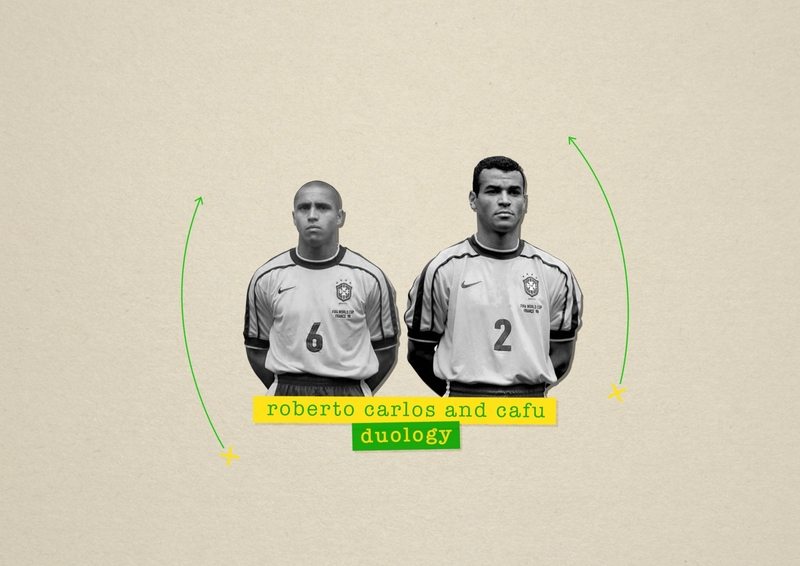 Given that he’d been in competition with the likes of Roberto Carlos, Marcelo and Filipe Luis – some of the greatest left-backs in history, not just in Brazil – over the years, he had never really expected to represent his country at senior level. Yet he was able to add to his appearances as a youngster for the Olympic squad by playing 10 times in the famous yellow colours, including one appearance at the 2014 World Cup, a special moment even if it was in the irrelevant third-place playoff. While the man from Espírito Santo may never have won a trophy for his country on international duty, he still did his country proud at club level. “Winning this match was the best possible send-off,” Unai Emery said of PSG’s victory in the 2017 Coupe de France victory over Angers, a match which was will go down in history as Maxwell’s valediction and as his 37th trophy win. Sure, it would be revisionist in the extreme to suggest he played a starring role in each of those triumphs; playing with the likes of Zlatan Ibrahimović, Wesley Sneijder, Lionel Messi and Thiago Silva has been a blessing. Yet if anyone in football deserves such glory then it is Maxwell. Perhaps not the most talented – although his skills should never be too downplayed – he was a gentleman of the game, constantly helping out his teammates and never being shown a red card in Europe in 590 games. He may not be the most obvious candidate to be the most decorated club footballer of all time, but he’s still a worthy one.